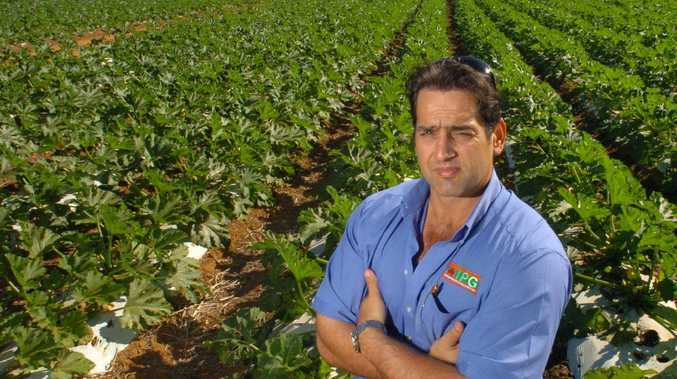 Could this be the end of Bundaberg's iconic fig trees? 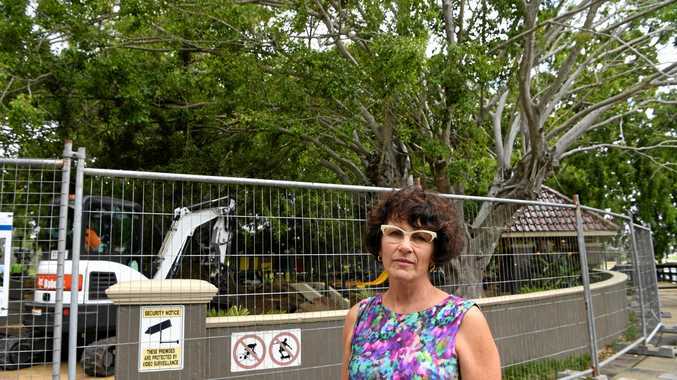 A DEBATE has ignited over the city's iconic fig trees after Bundaberg Regional Council gave what many believed to be a hint at their imminent removal. Last week, the council, via its media outlet Bundaberg Now, shared an article to social media in which an arborist claimed fig trees in the town area, at about 100 years old, were nearing the end of their lives. The council's consulting arborist Matthew Duncan said when it came to ageing fig trees in city streetscapes, problems could well and truly start to arise after 100 years. "When trees get old their vigour and health starts to deteriorate, especially when they're in an urban environment,” Mr Duncan said. "They are probably coming to the end of their life expectancy and amenity and starting to become less attractive. He said weeping figs had an extensive root system which needed a lot of open ground. "They are a hungry tree in terms of water and nutrition,” he said. "When they are surrounded by hard infrastructure it is difficult for them to source that nutrition and water they need. When the NewsMail sent specific questions to the council, a spokeswoman did not provide answers, but directed the paper back to the council's original articles on Bundaberg Now. Local woman Angela Lathouras was among the majority of commenters who were upset at the idea of losing the city's iconic shade trees. She said the trees were in decline because of poor management. "They've been starved of water and nutrients by bitumening up to the base of each tree,” she wrote. Others commented that fig trees could live hundreds more years, while some called for a second opinion. Ms Lathouras penned an open letter to the council online, calling for the trees to be protected. Speaking to the NewsMail, she said while some trees had to go, many were in good health and needed protecting. "People feel strongly about the shade trees,” she said. Ms Lathouras said at present, the trees were "set up to fail” due to poor maintenance and pruning that made them more susceptible to damage. "The important thing is for people to have their voice heard,” she said. Ms Lathouras successfully fought to save a weeping fig tree in Alexandra Park last year, with substantial pruning carried out to prolong the tree's life. The tree had originally been marked for removal by the council. Bundaberg Regional Council says more than 6000 trees are being planted in the region and tens of thousands have been planted by the council in the past three years. 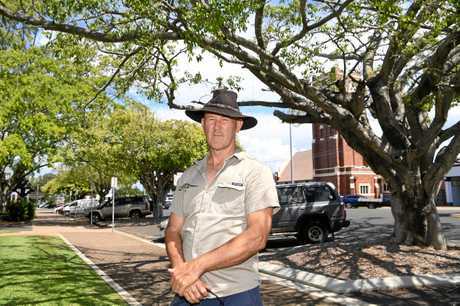 BUNDABERG Landcare president Mike Johnson isn't afraid to admit some of the city's fig trees need to be removed, but he says the row of figs along Buss Park were mostly healthy and simply suffering from drought conditions. Mr Johnson said just one of the trees along the side of the park was rotting. The others, he said, needed a good drink and feed and good management. Inspecting the trees at Buss Park, Mr Johnson pointed out a sprinkler system watering plants at the park and said old trees did not benefit from spot watering but regular heavy soakings to emulate the drenching they'd receive in a storm. "A bit of surface water ain't gonna do it,” he said. It is not known if the trees along Buss Park are being considered for removal, however, the council's article relating to trees "nearing the end of their life” discussed figs from Buss Park and Woongarra St.
To understand the wellbeing of the city's figs, Mr Johnson said people first needed to be aware of something termed "TPZ” - the tree protection zone. He said the TPZ is determined by calculating the tree's diameter at breast height and multiplying it 12 times. Microzoa are tiny creatures that exist around the tree. Trees depend on them. "So you look at a lot of these trees, they're basically sitting in aisles of concrete, we've got no moisture in the sub-soil,” Mr Johnson said. Mr Johnson said big trees needed to be drenched in about a thousand litres of water. "These things, I believe, are dying of thirst and probably nutrients wouldn't hurt, they're just totally stressed like everything,” he said. Mr Johnson said in terms of rainfall, the region was 350mm down from last year. "This is the worst drought in my lifetime, some 50 years,” he said. Being built around is the main stressor for urban trees, Mr Johnson said. Mr Johnson said the council had some great garden staff and that the plan of action to help the savable trees would involve some extra tender loving care. "All except one I see are certainly savable,” he said of the Buss Park fig trees. Mr Johnson said they needed a prune, heaps of water and feeding. "Then they need to look at whether they can improve the amount of area for microzoa, you can't have a tree without microzoa - they feed the tree,” he said. Mr Johnson said gardening had to change to keep up with the times. "Times are changing, the climate's changing,” he said. Mr Johnson encouraged the council to divert more resources and staff into maintaining the region's trees. "This is happening right now this drought, and this is not going to get any better,” he said. He said there was a little-known document - the Australian Tree Standards manual, which was an invaluable tool in protecting trees. Mr Johnson said it was important to plan for the future so that trees would survive. Mr Johnson said tuckeroos were a good tree, but species such as flindersias were ideal for the city because they have the potential to provide large areas of shade in an increasingly hot climate. "They found in some suburbs of Sydney you can reduce power consumption in suburbs in Sydney by something like 25 per cent, if you've got big heaps of shady trees,” he said. In the case of the Woongarra St fig trees nearer to Branyan St, Mr Johnson said the signs of decades of neglect were clear. "They've been so abused sadly, they need to do a succession planting putting mature trees, get them in now and start getting ready for eliminating those trees,” he said. "As magnificent as they are, they're beyond help.